Myra Ethel Hall, daughter of Washington Hall and Sarah Jane Pryor, was born Dec. 31, 1876 in Taylor Co., Iowa and died Sept. 1, 1946 in Bedford, Taylor Co., Iowa. 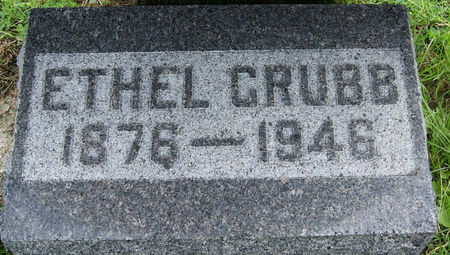 She married Ross Everett Grubb Jan. 29, 1902 at Bedford, Taylor Co., Iowa. Searching for MYRA ETHEL GRUBB in Taylor County Iowa?